Even though Oregon has fewer than 90 wolves who occupy just a small portion of their historical range there, its Fish and Wildlife Commission this week removed them from the state's list of endangered species. 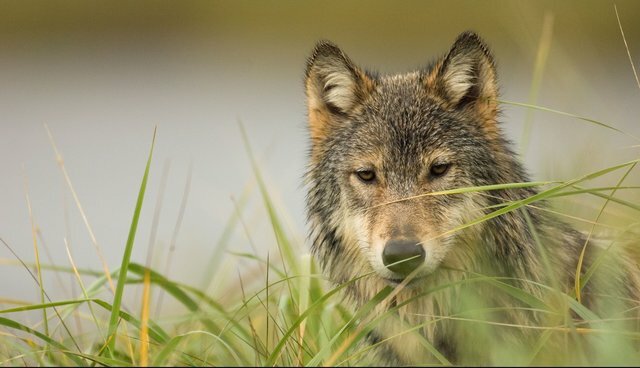 This administrative action clears away one key barrier to a trophy-hunting and commercial-trapping season on wolves in Oregon, and it's an act that speaks more about politics than science or sound management. It's the second recent adverse action against predators approved by the Oregon Department of Fish and Wildlife Commission, which not long ago dramatically expanded cougar killing on over 6,000 square miles of Oregon lands. Oregon's wildlife commissioners are not alone in displaying retrograde attitudes toward native carnivores, buying into the irrational and overstated rhetoric of some ranchers and trophy hunters that wolves and cougars are a threat to cattle herds, wild elk and deer, and even people. It's a problem in other states as well. Yet the reality is, wolves rarely kill cattle, and they remove the sick and weak deer and elk, unlike human hunters who often seek out the biggest and best specimens. Wolves and cougars are important for maintaining healthy ecosystems, and scientific literature is loaded with evidence to support that contention. Wolves are indeed reclaiming territory in Oregon and other parts of the west, having emigrated from the northern Rockies where they've been persecuted by trophy hunters and commercial trappers. The states of Idaho and Montana set loose the wolf killers, and Wyoming did so, too, until a lawsuit from The HSUS and other groups restored federal protections for wolves. Trophy hunters kill hundreds of wolves each year, using cruel steel-jawed traps or shooting them for trophies, robbing families of their lifelong mates and brothers and sisters. In spite of this persecution in the northern Rockies, wolves have actually expanded their range, recolonizing portions of the Pacific Coast states that they called home prior to 1950. There are about 100 wolves in Washington and one breeding pair, including the now-famous wolf known as OR-7, with pups in southern Oregon and northern California. Until this latest action from Oregon, these states have together been conducting something of a clinic on how not to overreact to wolves and how to responsibly manage them. California has classed them as endangered species, and the animals are fully protected there. Oregon and Washington have brought together key stakeholders for rational discussions and allowed some killing of individual wolves who get into trouble, but have resisted the impulse to allow hunting or trapping or to engage in mass killing. Wolves and cougars are not only an ecological boon because of the top spot they occupy in their habitats, but they are also an economic boon. When you take wolves' net effect, they are profit centers to the states that are lucky enough to claim free-roaming wild wolves. More and more, as we've seen at Yellowstone, they are also a magnet for tourism, bringing economic benefits to rural communities in the form of lodging, food, supplies, and everything else associated with wildlife watching. The Oregon commission's decisions on wolves and cougars shows callous disregard for the vast number of Oregonians who oppose the killing. We join with US Rep. Peter DeFazio of central and southern Oregon in condemning the delisting of wolves and in urging the governor and the legislature of Oregon to reverse the action. The new policy of persecuting cougars is abominable enough and the idea of setting up a repeat situation for the state's small, first-generation population of wolves is similarly unthinkable and unbearable. Support our wildlife protection campaign.